Below the Nightcruiser Crew have listed Karaoke Venues the Nightcruiser can call on exclusively during the various Nightcruiser Karaoke Tours or combine it with your All Night Party Tour or Party Transport. If you don’t know the name or have forgotten, just scroll downwards as they are all listed. If your Venue of choice is not listed, or you know of others not shown, please request it during your booking or let us know. This list is being updated all the time but the venues might not have notified us of any changes so we always suggest you call venues first if intending to visit. Karaoke is a form of interactive entertainment or video game in which an amateur singer sings along with recorded music (a music video) using a microphone and public address system. The music is typically a well-known popular song minus the lead vocal. Lyrics are usually displayed on a video screen, along with a moving symbol, changing colour, or music video images, to guide the singer. In some countries, namely China and Cambodia, a karaoke box is called a KTV. It is also a term used by recording engineers translated as “empty track” meaning there is no vocal track. The global karaoke market has been estimated to be worth nearly $1 billion! Come get your Karaoke on every Sunday from 6 PM. 74 Helena Street, Midland. Karaoke every Saturday with 8.30-11.30pm.Weekly prizes. Starts 8pm upstairs in the lounge bar. Fridays Night but not every week. Session from 5.00pm to 8.30pm Muso’s and singers welcome. Great meals available! Heaps of beer specials! The new venue on Queen Street offers a plush lounge atmosphere, with an open performance area. We do not have private booths, as we believe everyone should share the karaoke experiences. Nightcruisers call on this venue so include it with your Party Tour. We can book for you. The Old Floreat Hotel had been serving the Perth market for about thirty years. Like many bars of its generation, it had been left behind by the ever evolving trends in society. The market had grown more sophisticated and The Floreat needed to change. The new Floreat is a multi-use venue and offers a fresh, open and relaxing atmosphere with its distinctive contemporary, yet modern feel and slight retro edge to it. There are five areas offering separate functions and yet they comfortably coexisting under one roof. The Lounge Bar & Restaurant has a free standing double sided fireplace with fabric covered bench seats for separation, offering a warm and cosy atmosphere. The Cocktail and Cellar Wine Bar is unique in its presentation, opening out onto a sail covered Beer Garden, where you can enjoy your favourite tipple on a warm summer’s night. Located in the heart of Northbridge, GALAXY LOUNGE is an exclusive karaoke restaurant designed to provide you with exceptional service in an intimate surrounding. There is a large dance floor for karaoke with all your favourite tracks from golden oldies to the latest hits. To help you perform at your best, songs are available on the latest sound systems. Karaoke starts at 9pm every night and continues till late. In Northbridge with seating for 250. Top spot in the City for Karaoke fun. Great food & real-value prices is the Golden Swan on James Street. There’s a big play list from Golden Oldies to current chart toppers; a quality sound system and a friendly crowd. With easy lyric sheets and their favourite music, even shy beginners can have a go. The Nightcruiser can take you there during your all night Party Bus Tour. 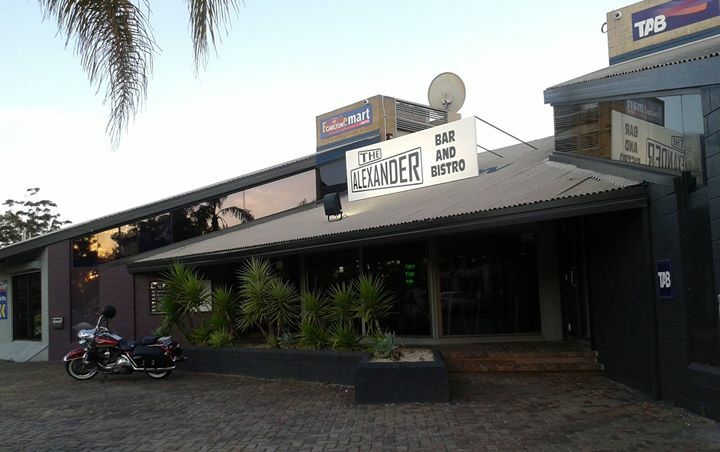 Right in the heart of Northbridge, Perth, Hit Studio is the perfect place for any Karaoke occasion. Birthdays, private parties, hen’s nights – if you’re looking for fun, you’ll find it at Hit Studio. Karaoke is back at the Kala every Saturday. hosted by Celebrations Karaoke. Tuesday nights at Moondyne Joe’s corner Wray Ave and Hampton rd starts 7:30pm. Big projector screen for the lyrics and held in the Lounge Bar withy comfortable seating. On off the venues treating karaoke seriously. The Nightcruiser are always keen to include this onto your Party Bus Tour schedule for a Thursday Night for something different. Karaoke Friday Nights starting from 8 pm. If you enjoy a sing along to some of your old time favourites drop into My Place Bar & Restaurant on a Friday evening. Bring your friends, or go along on your own – the name of the game is having a good time! Catering for the sports enthusiast, the sports bar offers the best in sporting entertainment. Large TV screens for easy viewing and specialised sports channels including Foxtel, Sky and Satellite TV will ensure you’ll get to see your favourite sporting event. Pool tables and dartboards will entertain whilst you enjoy a selection of local and imported beers, fine wines and spirits. Happy hour is from 5pm to 6pm on Monday, Tuesday, Thursday and Friday. Choose a hearty pub meal or light and easy snack from the bar menu which is available seven days a week. The Odin Bistro specialises in great value pub style meals. Ideal for the Nightcruiser Pub and Grub Tour or Progressive Dinner Tour. The a la carte lunch menu combines their chef’s specialties with seasonal favourites. Alternatively, the bar menu will provide you with lots of great options. Now you can also enjoy a delicious meal in the alfresco dining area or the renovated bistro. A dedicated kids menu ensures you can enjoy a night out with the family. Every Sunday enjoy an $8 BBQ with Karaoke with Peta Lee, the famous buffet is also available. All performers placed in prize draw. Subaru is located on Francis Street in the entertainment district of Northbridge. Surround yourself in the plush surroundings of our private lounge rooms where you can start your night with a truly memorable dining experience then continue to sing the night away. Subaru offers flexibility to accommodate for all occasions including intimate gatherings and group functions. Has a small stage with lights, leather lounges and bar stools. It is an intimate venue. It has EV speakers, 2 LCD Screens displaying lyrics. Utopia Square is their largest store in Perth and one of the first Utopia stores ever opened! It was through the incredible vision of the founders of Utopia that we were able to convert the previous nightclub bar into what Utopia Square is today, a huge cosy space divided into two areas depending on your mood! The Reading Corner offers an intimate experience while the Main Hall is sure to lift your mood with the bustle of diners and the latest music videos playing in the background. Utopia Square is also the only Utopia Store that offers our whole range of products from our famous bubble tea, cakes and bread to a fully catered vegetarian restaurant and karaoke booths upstairs. Drop in and see if you can spot some of Utopia’s historic design elements that were created during the very beginnings of UTOPIA. Join the crew at the whale and ale for their Wednesday Karaoke and seafood special night. Get a group together and let the Nightcruiser take you there and return if you like. Bring your CDs or iPod and get into the mood early. After dinner come on through to the bar and join our 70s + 80s karaoke with Teresa, 1000’s of songs to choose from. The party starts at 8pm and runs late. Have your photo taken by the friendly bar staff for the whales web page. Every Tuesday Evening – Karaoke plus all you can eat curry night.